* Not Valid for Stay During All Major U.S. Holidays. 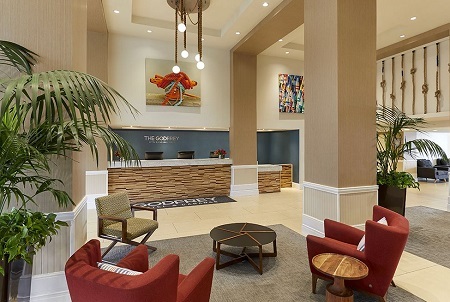 Nestled amid lush tropical grounds at the edge of the Tampa Bay beachfront, our island-inspired hotel is a waterfront escape of unrivaled luxury, comfort and service. 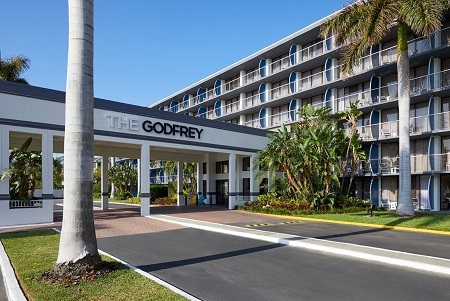 The Godfrey's convenient location near Tampa International Airport is ideal for relaxing family vacations, couple’s getaways and wedding celebrations. 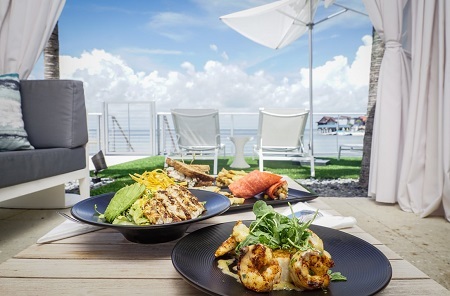 Treat yourself to fresh seafood at our full-service waterfront restaurant, WTR Pool & Grill, or cool off with icy drinks at our poolside beach bar. 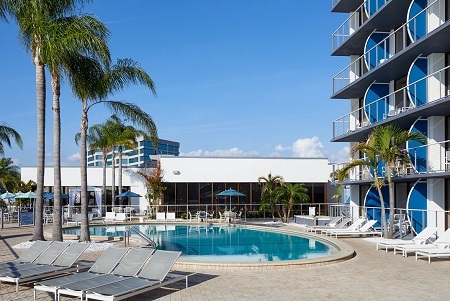 Our resort-style property boasts a heated outdoor pool, private dock, fitness center and 7,000 square feet of flexible function space. Offer is based on single or double occupancy in a Junior King Suite Bayview. 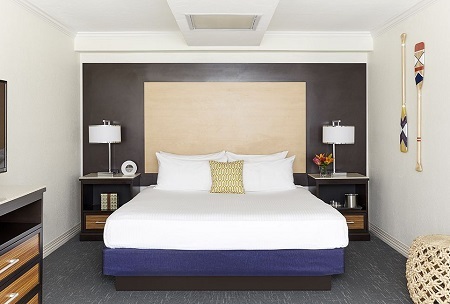 Wake up and indulge in dramatic views from your very own patio in our Junior King Suite Bayview. Fully furnished in contemporary modern accommodations, our Junior Suite provides the perfect refuge when you are ready to relax. Tax and service charges of $59.oo per room per night are additional.